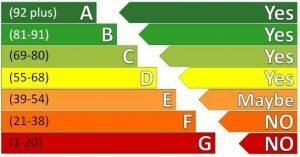 The Minimum Energy Efficiency Standard (MEES) came into force on 1st April 2018 for both residential and non-domestic properties. The intention is to force private landlords to improve the most inefficient properties, by restricting the ability to grant new leases or continue existing leases with an EPC rating of F or G (ratings are from a top level of A to the bottom level of G). • Any domestic properties intended to be let by a private landlord, which requires an EPC, can only be let if the EPC rating is E or above after 1st April 2018. • Landlords will not be able to continue letting such property under an existing lease after 1st April 2020. • Applies to certain tenancies, including Regulated Tenancies, Assured Shorthold Tenancies and Domestic Agricultural Tenancies. • Non-domestic properties can only be let with an E or higher EPC rating from 1st April 2018. • From 1st April 2023 – a landlord will not be able to continue to let a non-domestic property with an F or G rating unless it has carried out cost-effective energy saving measures or claimed an exemption. • The provisions in existing leases may affect the statutory obligations of landlords under the MEES Regulations and may affect the position of the Landlord in dealing with the MEES Regulations. Works, repairs or improvements will require specialist advice and careful thought. Whilst it is possible to apply for a temporary exemption from undertaking works to improve the EPC, these are complex and require central registration. The regulations will be enforced by Local Authorities, by way of civil fixed penalties, and for continuing breaches, a fine of up to £150,000 (based on 20% of the property’s rateable value). 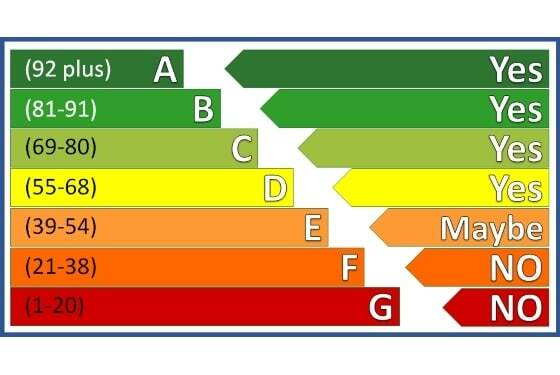 It is clear that EPCs are now becoming more important and it is possible that the MEES level may be raised in the future, therefore any energy efficiency improvements made now, may save time and money in the future. It is also possible that lenders will not lend on properties with a ‘substandard’ EPC rating (currently F or G) in the future. Lastly, if Local Authorities are permitted to keep the fines within their budgets, these may be enthusiastically enforced. What ever the future holds, now is the time for landlords of commercial properties to act to ensure they comply with the new regulations. For further information please contact Anthony Fripp.